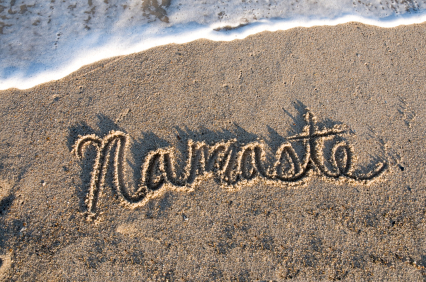 When a yoga class is coming to a conclusion, the teacher closes class with the term, "Namaste." Because the word is Sanskrit, and many of us have only heard it mentioned in a yoga class, and typically is offered of the bowing of ones head, it throws people. What am I bowing to exactly, or why am I saying the word Namaste?